Analog input connectors for SER1CH-UA banana jack model. The BANANA3 is a set of banana plugs only (set of 3). 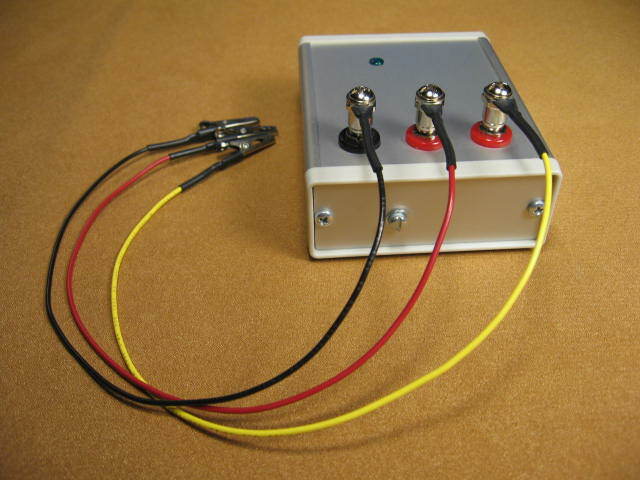 The ANALOGIN is a set of 3 cables with banana plugs and alligator clips on 12 inch wires. Click photo for views. Discrete wire cables for SER1CH-UA D-shell model. The ANALOGIN cable connects front DB9 via 12 inch wires to 3 alligator clips for the analog input. 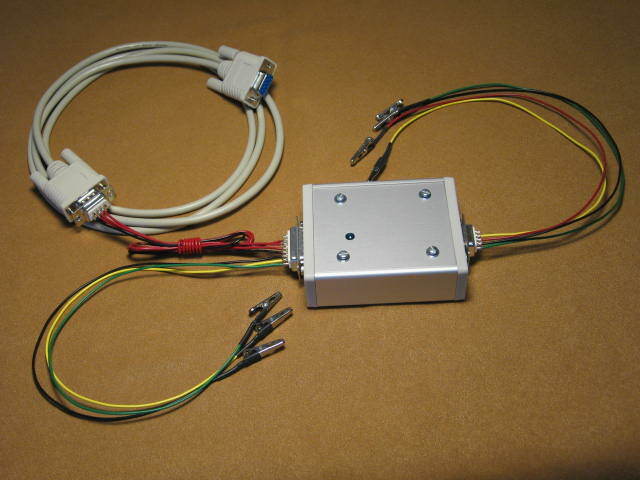 The PWRS232 cable connects back DB15 via 9 inch wires to both a 2.1mm jack for power and a female DB9 for the RS232 connection to the PC. Click photo for views. 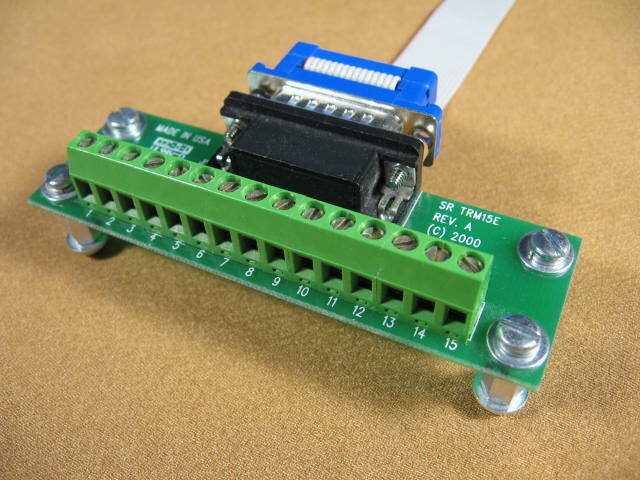 The TRM15E terminal board connects inputs from discrete wires to a 15 pin D-shell using Euro style screw blocks. Each terminal board comes with standoffs and an 8" connecting cable. Typically the TRM15E is used with the analog input D-shell on the PAR4CH, or the digital IO D-shell on the PARxCH (x=1,4,8). Other applications are certainly possible. One TRM15E is included with every PAR1CH and PAR4CH order, additional terminal boards must be ordered separately. The TRM25E terminal board connects inputs from discrete wires to 25 pin D-shell using Euro style screw blocks. Each terminal board comes with standoffs and an 8" connecting cable. Typically the TRM25E is used with the analog input D-shell on the PAR8CH. One TRM25E is included with every PAR8CH order. 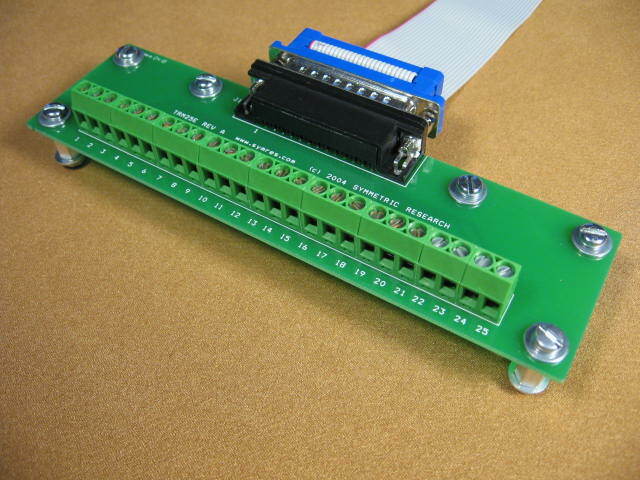 The TRM8X2 terminal board connects inputs from discrete wires to a 16 pin ribbon cable header using Euro style screw blocks. Each terminal board comes with standoffs and a 6" connecting cable. 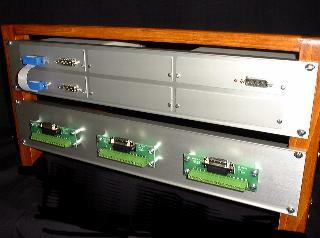 Typically the TRM8X2 is used with the analog input headers on the PAR24B and DSPA64 A/Ds. One TRM8X2 is included with every PAR24B and DSPA64 order. Additional terminal boards for up to seven more DSPA64 analog input headers must be ordered separately. Longer cable lengths are available upon request. The TRANS-SWITCHER-09V-DC is recommend for new designs. 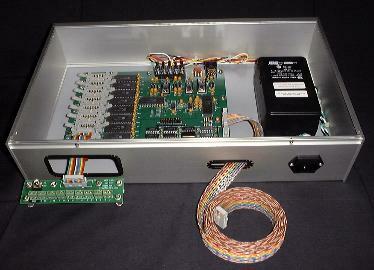 SR products work with 9 and 12 vdc US or Euro unregulated wall transformers. US transformers take 110 vac input on a flat two prong plug. Euro transformers take 220 vac input on a round Continental 2 prong plug. Both provide DC output voltage on a 2.1mm power plug. 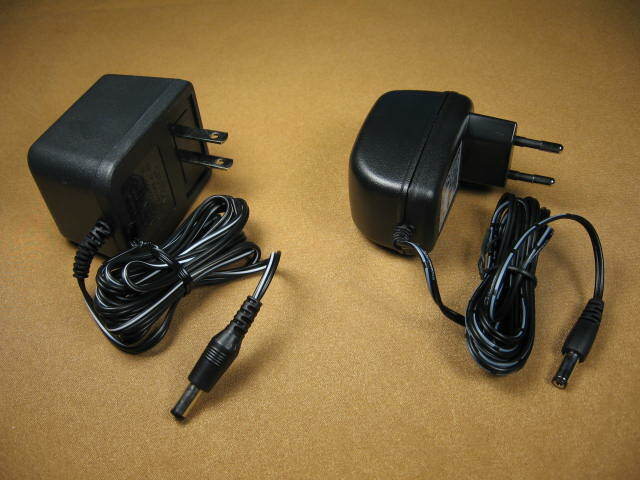 One US style transformer is included with each bundled A/D. A Euro style transformer will be substituted for free on request. RACK-PANEL4CH-6 is a sturdy 19" wide, 2U high panel made of anodized aluminum designed to fit in standard rack mount frames. It has 6 cutouts for attaching units like the USB4CH and AMP4CH-DF while still protected in their enclosures. The photos show front and back views with a PAR4CH data acquisition board above an AMP4CH-DF amplifier and a PARGPS timing module on the right. Other configurations are easily made with only a screwdriver. Panels with cutouts sized for the USB8CH are also available, as are plain RACK-PANELs with no holes or cutouts that allow for custom mountings. For example, the plain rack panel at the bottom of the top photo was customized to hold 3 TRM15E boards. The 2U high, full width rack units have slide-in vinyl coated steel tops and bottoms and come with handles and power cord. They can be used with any of our A/D boards. Both A/D and power supply are mounted inside.